I don't just illustrate books, sometimes I have very fun and interesting projects that take me to other parts of the world. 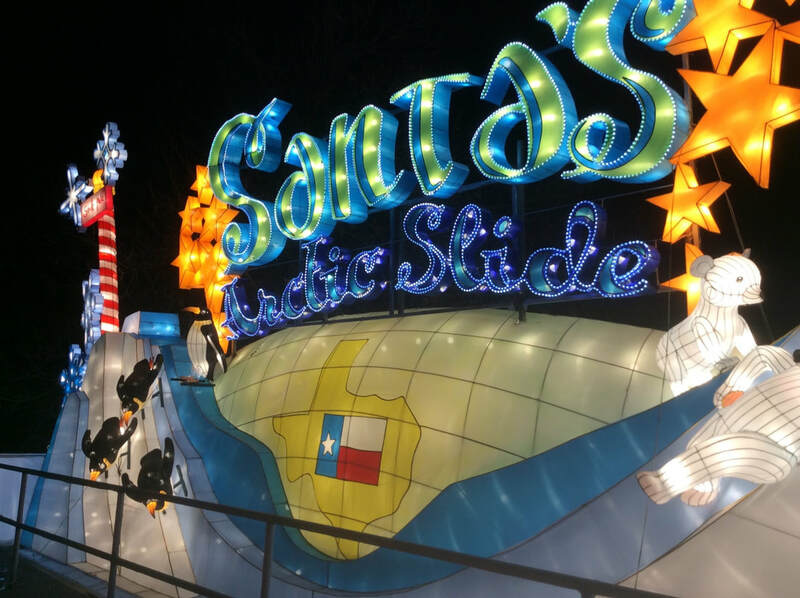 Holiday Wonder - Christmas in Texas is up and running! I had the opportunity to visit last week and snap some photos. Below are a few of my favorite pieces. This was another super fun lantern project and I was thrilled to have this one in the United States so I could visit easily! 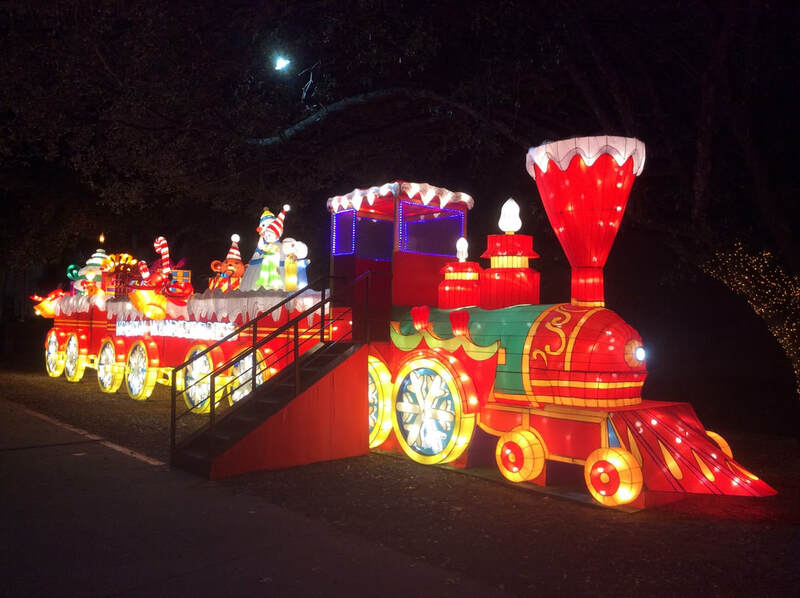 This lantern festival, commissioned by Holiday Wonder, will be held at the Texas State Fairgrounds in Dallas this coming holiday season. 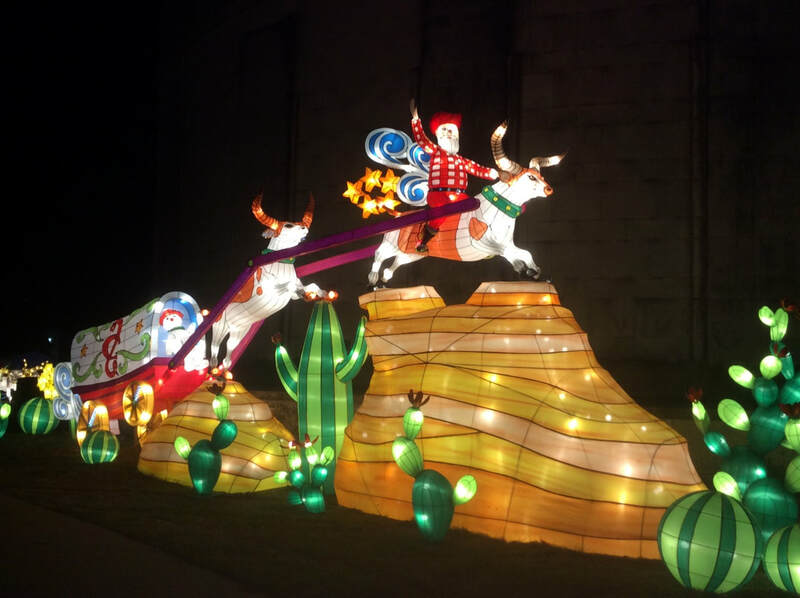 I had great fun designing the lanterns for this winter attraction, and I channeled my inner Cowboy to re-write"The Night Before Christmas" with a Texas theme for many of the scenes. 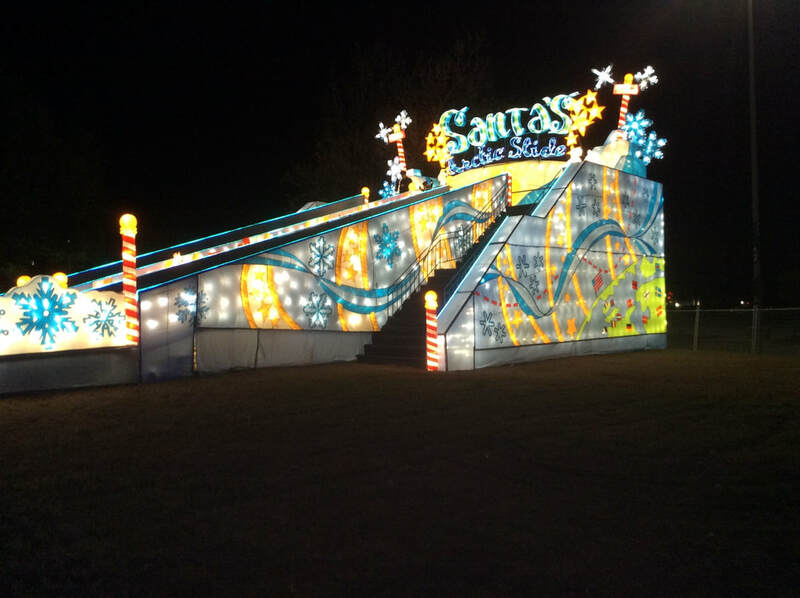 We will have Santa's Giant Arctic Slide and the 12 Days of Christmas plus New Year's Fireworks. 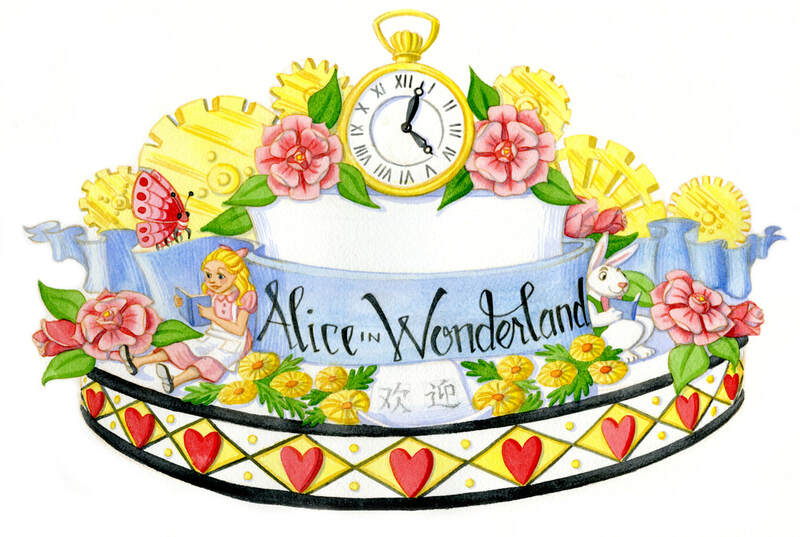 International Special Attractions -Ran this Alice in Wonderland Ice Festival again in Shanghai this November 2017 through February 2018. I am thrilled that these sculptures were popular two years in a row. This summer I am designing for Quantum Creative Productions. We are creating 12 giant snowflakes made of brushed aluminum for a light show that will occur this holiday season at the Great Mall of America. 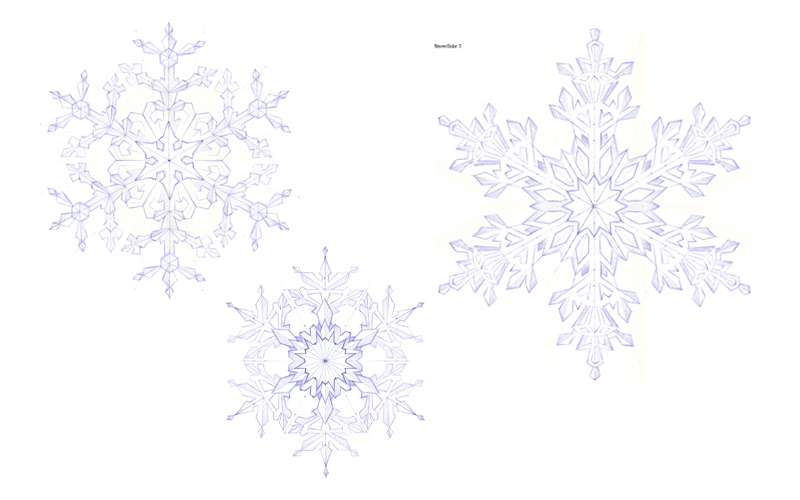 The snowflakes measure 5' - 11' in diameter and have an LED panel inside that will light up in a variety of colors. The light show will be choreographed to music and will hang in the atrium of the Great Mall. 1. My first sketch (small changes were made). 2. The 'study stick' which is an 18 inch study of the pole that defines the main 'cuts' that will shape the characters on the pole. 3. Erik and the carving in process. 5. The first stained colors. 6. The pole with complete color, lying on the ground. (I had to get on the roof to get the whole image in the photo frame. This year I had the great opportunity to design the sets for a lantern festival which was held in Barcelona, Spain during the winter holidays. The production (by DHZ Spain) ran from mid-October to mid-February in an oceanside park near the Natural History Museum. This is the first time I was responsible for designing the entire production. I came up with the themes, designed the layout of the paths inside the park, and designed all of the lanterns. 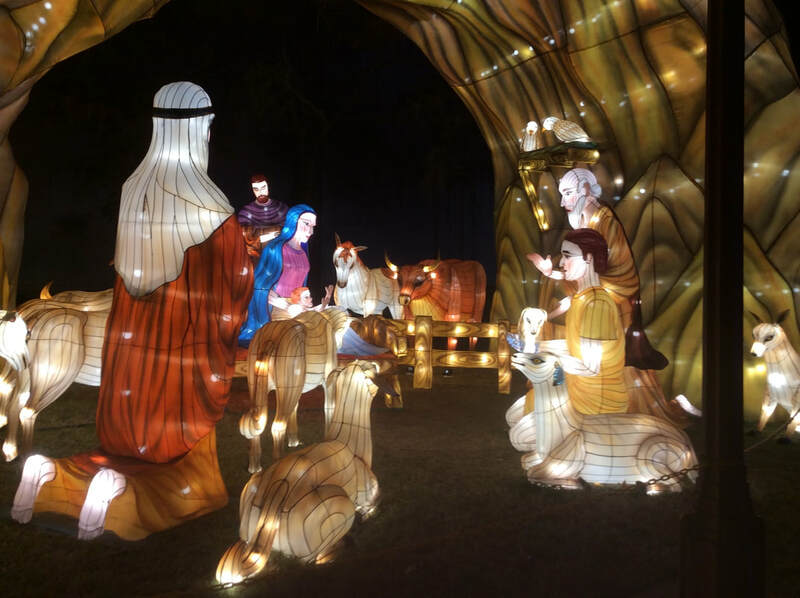 DHZ Spain built the lanterns in China and shipped and installed them and ran the event. Artistically it was a challenge to produce an exciting sculpture garden in Barcelona, a city already full of amazing public art. 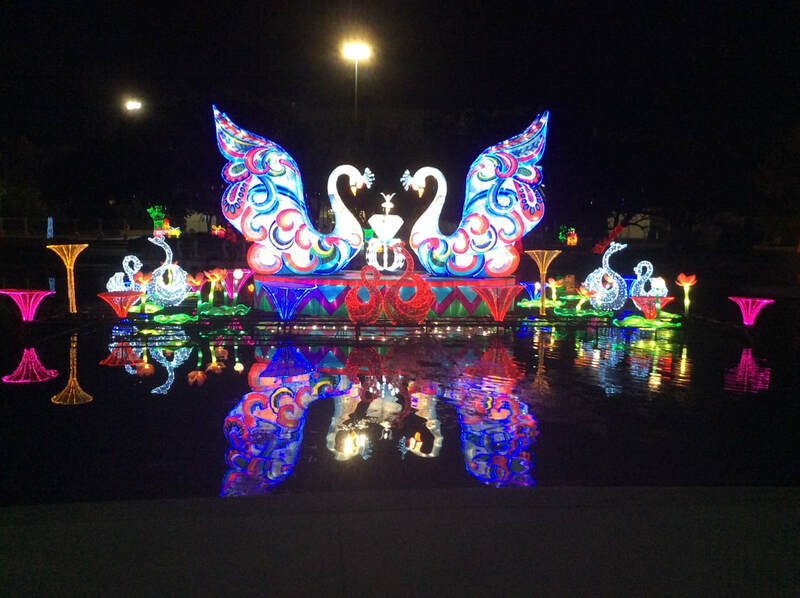 This art form of illuminated silk sculptures has been popular in China for a long time and Barcelona requested some Chinese themes for the exhibit. DHZ asked for sections of the park that would be fun for children and other themes that would salute the major design influences that exist in Barcelona. Some of the lanterns reflect the works of Gaudi, Miro and Picasso, and also the Art Nouveau influences seen throughout the city. Attached are a few photos to show you what the lanterns are like. This illustration will appear in the April 2014 issue of Ladybug Magazine. creating an illustration to go along with it. 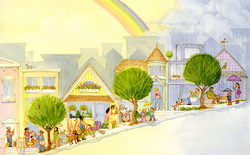 I have a collection of over thirty book and magazine illustrations being displayed at Martis Camp this December. 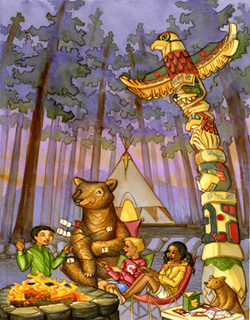 Martis Camp Club purchased several pieces of "Martis" themed artwork from the show and commissioned more artwork to be used for postcards and in promotional materials for the Camp in the future. Look for my work at Martis again in August 2014. I will be showing decorative paintings in the Barn Loft at that time. 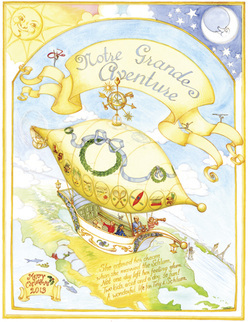 or adventure scenes that include lots of fun, personal details. This illustration made a very Merry Christmas gift. I had the great fun of illustrating and designing the cover for this new YA Novel. 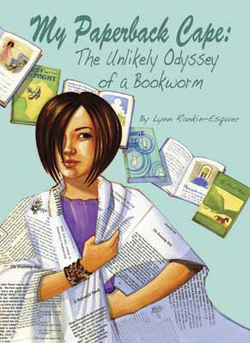 This illustration appeared in the November-December issue of Ladybug magazine. 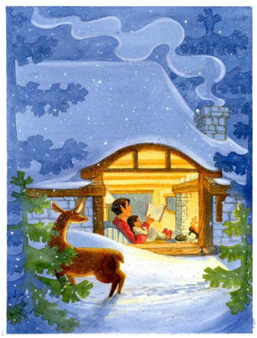 The poem is sweet and perfect for a cozy winter's read. This spring I had great fun designing sets for a lantern festival which will be in Chang Sha, China. 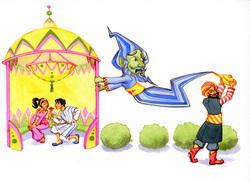 Visitors will walk through the story of Aladdin and his lamp, created in gigantic silk lanterns.